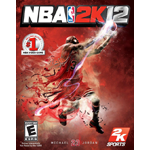 NLSC | Page 316 of 329 | Your source for basketball video games. Welcome to the third and final part of the roundtable discussion of NBA 2K12 between Patrick (Pdub), Jon (JaoSming), Lean, The X and myself. Today we’re wrapping up the roundtable with our thoughts on NBA’s Greatest and the presentation in this year’s game, as well as covering a couple of other topics of interest and summing up our opinion of NBA 2K12. Don’t forget to check out part one and part two if you didn’t catch them the first time around. Our friends from ModdingWay have unfortunately suffered a serious server crash, from which they have been unable to recover. As such, they have asked if we can upload copies of their tools for NBA 2K12 to our server (previously the entries in our database linked to the respective download pages on ModdingWay), so that the patching community may still have access to them. Please see below for the download links. A big thanks once again to Ariel and the staff of ModdingWay for their outstanding work with the NBA 2K12 tools so far. For those of you who have been waiting for an up-to-date FIBA mod for NBA Live 08, the wait is over! 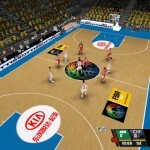 With the help of a handful of contributors, Zeller and Dc311 have released FIBA LIVE 11, a mod which adds all 24 teams that participated in Eurobasket 2011, along with the national teams of Argentina, the United States, Tunisia, China, Jordan and Australia. The mod is a little over 86 MB and can be found here in our Downloads section. Please see the mod’s release thread in the NBA Live 08 section for some additional previews and release notes. Please post all feedback, questions and technical issues related to the mod there as well. 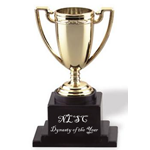 The first round of voting for the Dynasty & Association Story of the Year has concluded and the six finalists have been selected. Check out the list of finalists here and be sure to send your votes in to Martti. via private message in the NLSC Forum by November 24th; the winner will be announced shortly afterwards. A big thanks to everyone who has cast their vote so far! Be sure to check out all the ongoing story threads for Dynasty and Association games in the Stories section of the NLSC Forum. We have some very talented individuals in the community who make their threads a lot of fun to follow along with, so take a look and feel free to offer some words of encouragement every now and again! If you’d like to start your own Dynasty or Association thread, check out this guide for some great tips on getting started and maintaining a story thread. 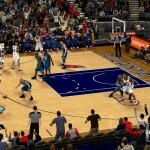 Da Czar has posted the tenth video in his Strategy Session series for NBA 2K12. This time, Czar offers assistance in running inbounding plays in this year’s game. Check it out here on his YouTube channel if the embedded video isn’t working and drop by Sim Citi for more Czar content. Welcome to the second part of a three part roundtable discussion of NBA 2K12 between Patrick (Pdub), Jon (JaoSming), Lean, The X and myself. Yesterday in part one, we offered our initial impressions of the game with quick thoughts on our favourite additions and biggest complaints. Today we’re taking a look at gameplay along with Association and My Player. Check back tomorrow for our impressions on NBA’s Greatest and presentation, along with some closing thoughts on the game. 2K Sports have released another official update (v1.03) for the PlayStation 3 version of NBA 2K12, with the patch for the Xbox 360 version coming soon. This update contains a handful of game fixes including some tweaks to help defense and the accuracy of directional passing, as well further online fixes including matchmaking optimisations. You will be prompted to download the latest update as long as your console is connected to the Internet. Please see below for a complete list of issues addressed by the update and share your impressions in this thread. No further word has been given on official updates for the PC version of NBA 2K12 but Ronnie 2K has previously mentioned that the PC version will likely receive a combined update with all the fixes previously released for the Xbox 360 and PlayStation 3 versions. If history is any indication, the PC patch probably won’t be out until January or February at the earliest but if any information becomes available in the meantime, we will be sure to post it. 2K Sports have announced that the Legends Showcase DLC will add 45 new Legends to NBA 2K12 including players such as Bob Cousy, George Mikan, Bernard King, Kevin Johnson and Rick Barry. The Showcase will be available this Holiday season for the Xbox 360 and PlayStation 3 versions of NBA 2K12 at a cost of 800 Microsoft Points or $9.99 respectively, and features several challenges and mini-games involving legendary players including 21 and H-O-R-S-E. It will also add the ability to play quick matches online with teams from NBA’s Greatest. Please see below for a complete list of players that will be added by the Legends Showcase, as well as a teaser trailer from 2K Sports. You can also check out some screenshots in our gallery. 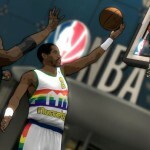 Feel free to add your comments below or here in the NBA 2K12 section of the Forum. 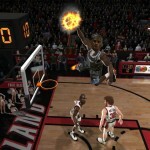 Having trouble shooting free throws in NBA 2K12? A few of Da Czar’s viewers have asked him for some tips which he has provided in the ninth episode of his Strategy Session series. Click here to watch it on YouTube if you can’t see the embedded video and check out more from Da Czar over on Sim Citi. Welcome to part one of a three part roundtable discussion of NBA 2K12 between five members of the NLSC Team: Patrick (Pdub), Jon (JaoSming), Lean, The X and myself. In this first part of the roundtable, we cover our initial impressions of NBA 2K12 including our favourite additions, our biggest complaints, the little things that stand out and more. Check back tomorrow for part two, which will cover our thoughts on gameplay, Association and My Player. Forbes has posted an article regarding NBA 2K12’s sales through October, which according to VGChartz.com have now already topped the 2.8 million mark worldwide. According to one analyst, the game is likely to sell up to 4.5 million copies worldwide by the end of its run and possibly another million copies on top of that if the NBA lockout is resolved sooner rather than later. 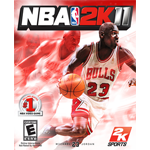 Without a sim title release from EA Sports and the added strength of Michael Jordan’s brand, NBA 2K11 sold over 5.5 million copies during the past year. The article also notes the game’s impact on Nike’s sales and includes some quotes from Justin Taylor, a Nike Air Jordan designer, on the use of real shoes in basketball video games and the addition of Nike ID in NBA 2K12. It also includes a couple of videos from GamerLiveTV that feature more comments from Taylor as well as Jordan Brand creative director Andre Doxey. 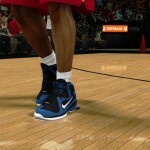 For those who are unaware, last week the LeBron 9s were added to NBA 2K12 the same day they went on sale to the public and more shoes will be added in the coming months,with the next batch expected on Christmas Day. Shack News has reported that NBA Jam: On Fire Edition was the top download on the PlayStation Network in October, following its release on October 4th. The game currently holds a Metacritic score of 84 for the PlayStation 3 version and 83 for the Xbox 360 version, which was released on October 5th. If you missed it earlier this week, check out our post-launch Q&A with NBA Jam: On Fire Edition producer Cody Sawatsky, which includes some background info on game modes and unlockables as well as some handy tips and tricks. For those who have yet to play the game and didn’t catch my review last month, you can read it here. Finally, don’t forget you can discuss the game in The Virtual Hardwood section of the NLSC Forum. For those who haven’t seen it yet, last week Video Game Ephemera uploaded a rare video featuring the license pitch that was made to the NBA for the original NBA Jam way back in 1992. The video explains some of the tech behind NBA Jam and reveals some interesting information about the original concept, which would have included multiple camera angles and more of a realistic approach, though it still featured 2-on-2 gameplay. It’s definitely worth a watch if you’re a fan of the original series or have been enjoying the new releases from EA Sports, so check it out and leave your thoughts in the comments below or join in the discussion here in The Virtual Hardwood section of the NLSC Forum. Just wanted to let you know that the servers for 2K11 will be shutting down in the next few weeks, and could happen as early as 11/16. Keep this in mind when completing your achievements, etc. Thank you in advance. Certainly a shame for anyone who hasn’t upgraded to NBA 2K12. Despite the bad news, remember you can preserve your favorite 2K11 Share rosters and slider sets by uploading them to our Download Database.